Goodwin said that by pursuing opportunities for reuse, the UK could reduce its reliance on raw materials, including rare earths, by as much as 20% by 2020. WRAP estimates that around 600m tonnes of products and material enter the UK economy each year, with only around 115m tonnes being recycled. "Rare earth metals account for just 1,600 tonnes of this flow, but they are found everywhere - from vehicles, TVs, computers and ceramics, fuels, energy generation, and pharmaceuticals," Goodwin told delegates. "We are heavily dependent on these materials for so many everyday items, but recycling rates associated with these resources are generally very low, often below 1%." WRAP has identified some 'quick win' resource efficiency strategies, covering a range of materials including copper, lithium and cobalt as well as rare earths, which could not only help reduce the UK's carbon footprint by 2020, but could also help address wider supply security issues. Goodwin said: "Our research shows that in general, it's the strategies that extend the life of goods or reduce the consumption of electronic and electrical goods that have the greatest impact. "The biggest 'quick win' impacts can be attribute to four approaches - lean production, waste reduction, lifetime optimisation and 'goods to services', where the number of leased products is increased and the number of outright purchases are decreased." Goodwin also highlighted the opportunities presented by tackling the amount of WEEE in the UK. "We estimate that between now and 2020, in the UK, we'll dispose of 12m tonnes of WEEE. She alluded to new WRAP research that shows that almost a quarter of all WEEE taken to household recycling centres has a reuse value, which could deliver £200m gross revenue each year. "This alone could make 100 tonnes of rare earth elements - almost 10% of UK demand - available again," she said. "More than a fifth of the WEEE could be immediately sold on, or repaired and refurbished for resale, bringing financial benefits to those involved. The end result would be that we'd be a step closer to the elusive closed loop, green economy model." 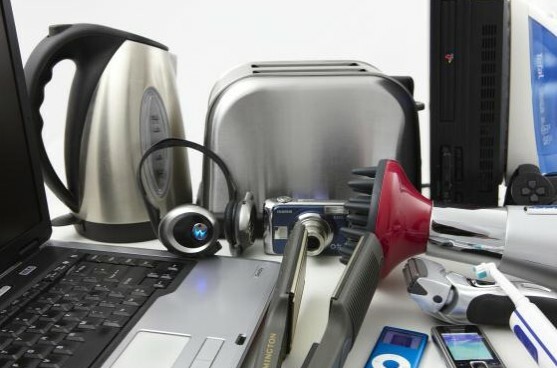 Read WRAP's sheet on "Realising the Reuse Value of Household WEEE"